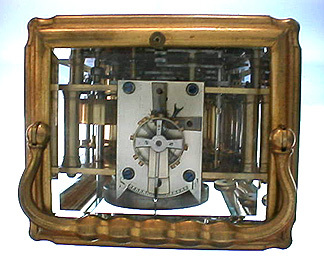 Fine and scarce French grande sonnerie calendar carriage clock striking on two bells, circa 1860. 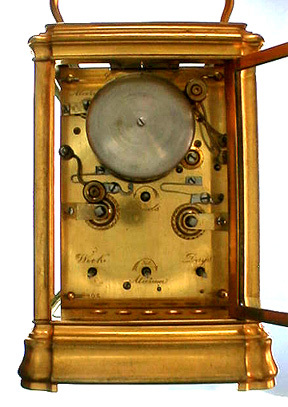 Gilt brass gorge case with holes in the base to allow the sound out. Engraved masked dial signed Rodanet, the retailer. Subsidiary dials for day, date, and alarm. 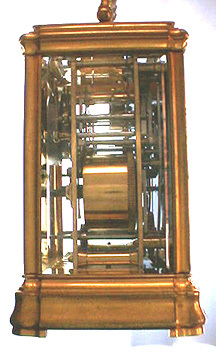 The movement with fine original silvered 11 jewel lever platform. Striking on a nest of two bells (one nicely replaced) on the back plate. Lever in the base to select full strike, half strike, or silent. 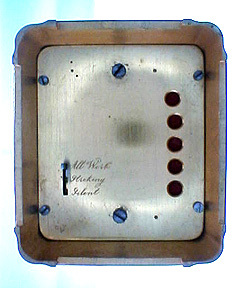 In original lleather traveling case, missing strap. 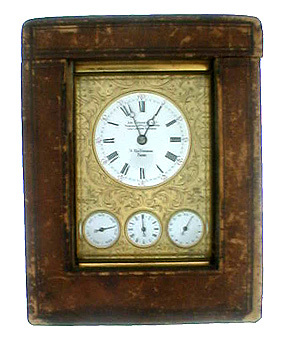 A very handsome and complicated timepiece in lovely condition. 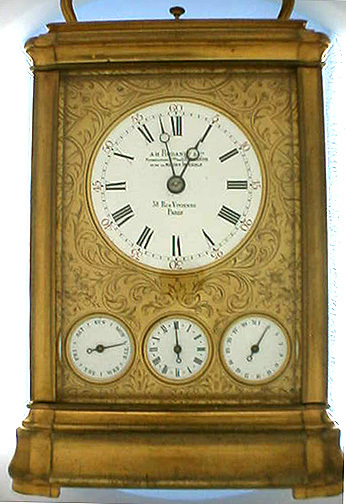 The dial is signed "A.H. Rodanet et Cie. Fournissieurs Btes. 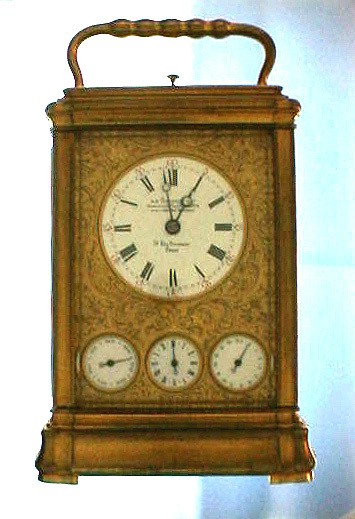 de L Empereor et de la Marine Imperiale 39 Rue Vivienne Paris"
Height 6 inches excluding handle.